If you had told me 10 years ago that one day I could order food from my favourite restaurants and have it delivered to my door (with a few swipes of my finger, no less) I would have told you that you were crazy. Well, thanks to Deliveroo the future has arrived, and it's arrived in Perth! With plenty of cuisines to choose from, there's something for every craving. Here's 10 ways Deliveroo will change your life. Arguing over who's turn it is to pick up your Friday night take-out or who's going to do the dishes is now a thing of the past, thanks to Deliveroo. Goodbye domestics, hello delicious, restaurant quality food delivered directly to your door. Can't be effed leaving the house due to too many drinks with your gal pals last night, but craving a big brekky? Not to worry, Deliveroo has you sorted. If it were us we would order the buttermilk hotcakes or huevos rancheros from Layup before climbing back in bed for a mid-day nap. No time to grab lunch? Well, that year-old can of tuna sitting in your desk drawer doesn't have your name on it anymore. Bivouac's Malawach tacos do, though. Don't forget to check with your office buddies if they want in on your lunch action! From the acai bowls at Ohana Acai Bar to Chimek's southern fried chicken brioche burger, Deliveroo's got you covered whether you're on a health kick or celebrating cheat day. All you need to do is select your poison—guilty pleasures or healthy food. The Urban List readers can score $10 off their first order using the code 'THELIST' at checkout. Heck yes! If your Tinder date hasn't ordered something from Deliveroo when he or she invites you over for some 'Netflix and chill' action, get the hell outta there. You deserve better than that, so head on home and order yourself a delicious feast from The Flour Factory, Lot Twenty or Wok St Chow House. Deliveroo can help you bag your next flight upgrade faster. With every dollar spent on your order, you'll earn two Qantas Frequent Flyer points. All you have to do is link your accounts and you'll be jetting off on your next adventure before you know it. 8. Late Night Dessert Cravings Aint No Thing! We've all been there and thankfully now there's no need to rush out to the 7 Eleven for a cheeky Paddle Pop. With Deliveroo you can get goodness like Gusto Gelato delivered. Hooly dooly, where do I sign up? Want your dinner delivered right on time for the next episode of The Bachelor? No problems! With Deliveroo you can order an entire day in advance. Now that's organised! 10. It's Coming To A Suburb Near You Soon! 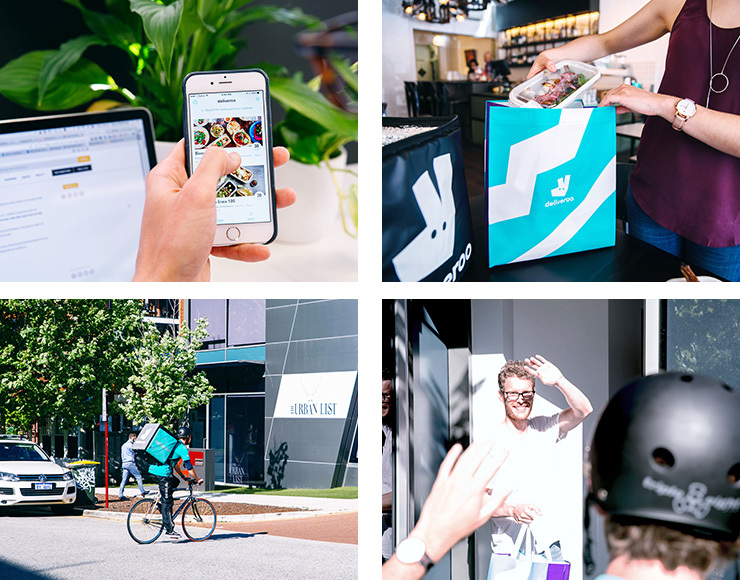 Already delivering to Perth CBD, West Perth, Leederville, Subiaco, North Perth, Northbridge and East Perth—Deliveroo has big plans to expand to a suburb near you soon. 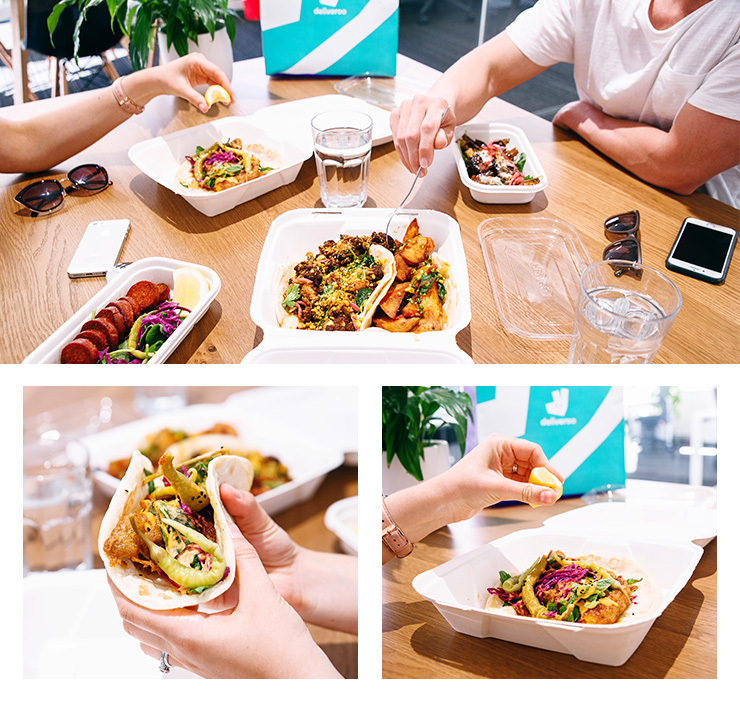 Editor's note: This article is proudly sponsored by Deliveroo and endorsed by The Urban List. Thank you for supporting the sponsors who make The Urban List possible. Click here for more information on our editorial policy. Voucher code terms and conditions: Voucher code can only be used on a customer's first order. Voucher THELIST valid for one use only. Code expires 11:59pm on the 5/2/17. Minimum spend of $25 & $5 Deliveroo Fee applies. Restaurants subject to availability. Click here for full voucher terms and conditions.